Extra room for your house is always a premium. Whether you are adding a garage, a storage closet, a pantry or a whole new building, attaching it to your existing house is very convenient. A garage that is near the house will keep your car safe and protected, but you will still have to run in and out of the weather. Attaching a structure right to your house also gives you even more room than just the structure being attached. The 7 to 10 feet of space in between the two structures can be used for an extra bath, laundry room, pantry, or any number of things. 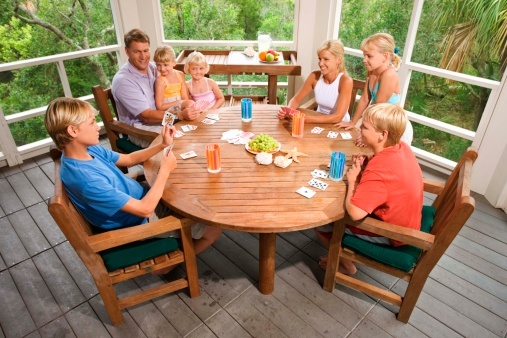 Attach a new structure to your existing home for added space and comfort. Check with your county building committee for codes and permits required for this project before you start. Dig your extra foundation and footers with a backhoe. Start from the existing house edge to the ends of the new structure's plan. The new foundation and footers, which will hold up the new structure, will be concrete poured into form work molds that touch the foundation of the existing house. Build your wall frames according to your new structure plans. Start at the present wall of your house. 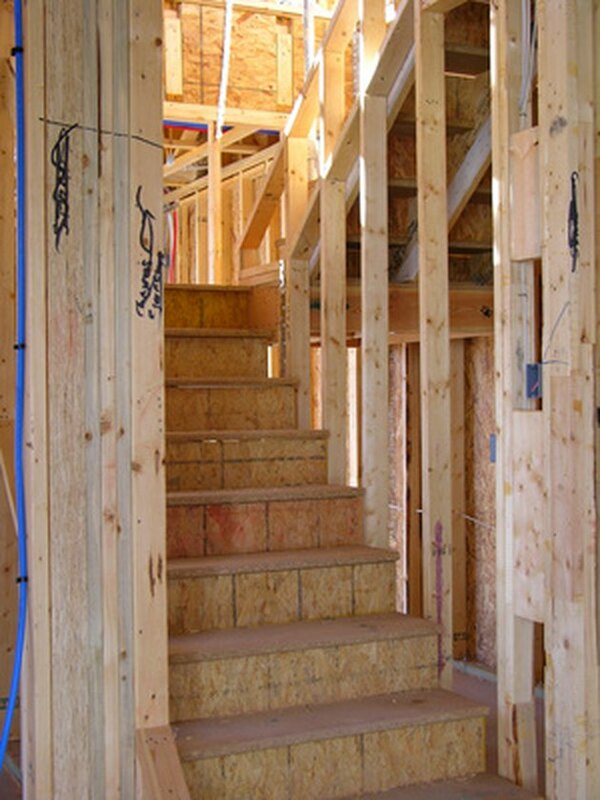 The wall frame will be built with boards that are 2 inches by 4 or 6 inches and cut to the height of your house addition plan. 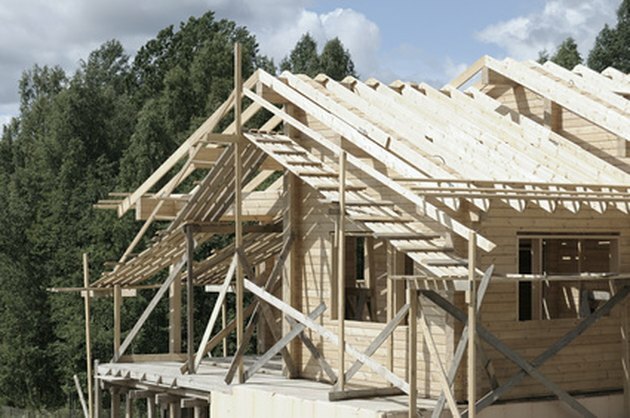 Boards that are 2 inches by 6 inches are often required to hold adequate insulation. Prepare the outer wall of your house by removing any outdoor siding that is not desired. The existing wall will become part of the new structure. You will build three more walls to complete a room. Screw the first wall frame to the outside existing wall with 4-inch screws. The screws will need to penetrate the 2 inches of the wall frame and the wall frame of your existing house. Housing construction from the inside out. Nail the bottom plate of the wall frame to the new foundation. The wall frame will be made up of a bottom plate or board and a top plate. The upright studs are nailed in place every 16 inches. Make several wall frames to complete an entire wall. Frames that are 10 to 12 feet are easiest to stand upright and nail together. Nailing the bottom plate to the concrete foundation will take a special action hammer that uses a bullet to force the nail into the concrete floor. Any wood that touches concrete will need to be treated lumber. Connect the roofs at a perpendicular angle that will not create a snow or moisture problem. The slope of the new structure's roof will ease into the present house roof. Angles will need to be continuous and not stop abruptly, creating valleys in the roof for snow or rain to collect. This is a good time to consider roofing the entire house as one roof. Finish the outer walls of the new structure with plywood and house wrap before adding outdoor siding to coordinate with the rest of the house.